Operating in Yemen is a challenge due to rapid changes in the context, with a multi-layered conflict involving an increasing number of actors whose positions and interests can shift dramatically and at short notice. In fast-moving contexts such as Yemen, aid organisations can struggle with conflict sensitivity, which they may see as hard to implement or unrewarding. Agencies tend to focus on protecting their own staff and offices rather than pursuing other elements of security, such as acceptance (gaining popular support among target populations) and deterrence (deterring attacks through security guards). In Yemen, the preference for protection-oriented security approaches that focus on physical security measures is easily observable at agency offices. This article reflects on a study I conducted in Yemen in early 2010 as a consultant for a humanitarian organisation. I have spent the last nine years promoting aspects of conflict sensitivity, particularly acceptance that can enhance an organisation’s effectiveness as well as its security. During this time, I have also observed how protection-oriented security approaches undermines their operational effectiveness and their degree of conflict sensitivity. As a risk management strategy, acceptance reduces the likelihood of targeted attacks by enhancing local communities’ appreciation of a humanitarian organisation’s work (i.e. ‘if we do good work, then everyone will like us’). Specifically, the use of acceptance-oriented approaches could provide humanitarian organisations with a number of benefits. First, acceptance reduces the likelihood that the targeted community – in part or as a whole – will threaten a project over opposition to an organisation, its affiliated activities or its performance. In Sadah governorate, which is currently controlled by an armed group known as the Houthis, an international organisation of US origin was able to operate safety despite the Houthis’ anti-American stance. The agency fully explained its intended activities and objectives to local Houthi leaders and other local actors. Second, acceptance increases the likelihood that communities will share information that could enable a humanitarian organisation to avoid or mitigate risks. For example, community members may telephone aid agency personnel to alert them to adverse security conditions or threats. In many cases organisations find such information more reliable than that provided by official authorities or their own security advisers. One staff member from an organisation that operates in a number of high-risk areas told me that he would call local contacts in advance of a field trip to get a complete picture of the situation. Recently, increased insecurity has seen many organisations’ security regulations discourage or prevent such exchanges of information with local contacts for fear that knowledge of the organisation’s movements will be used to plan ambushes on staff. Third, the target/beneficiary community could provide some level of protection for a humanitarian organisation’s assets or staff. For instance, in Al-Jawf Governorate, to secure the car belonging to a local organisation, an arrangement could be made with the local community where a member of the community would ride in the organisation’s car through a particular area. This arrangement protects the organisation’s staff and their car and deters others who may attempt to hijack the vehicle. Although conflict sensitivity and security management differ, the two disciplines share a need for in-depth understanding of operational context and trends. In practice, applying conflict sensitivity and security management requires more than context analysis at the beginning of an intervention. It also requires continuous monitoring of the context’s development throughout the duration of a project. Conflicts are not static; they evolve over time and change in nature and level, and actors shift sides as their interests change. In this regard, Yemen presents an extreme example. Local conflict occurs with little warning, and can quickly escalate to regional or even national level. 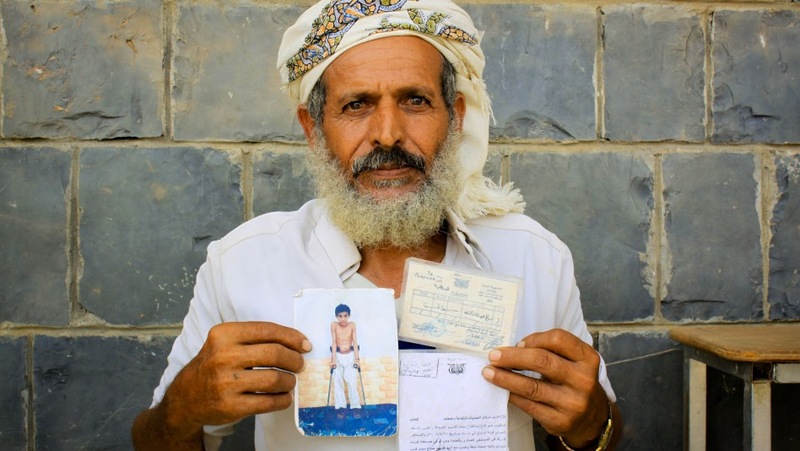 This makes conflict monitoring vital for humanitarian actors operating in Yemen. This monitoring should be continuous, and should involve two-way communications with targeted and neighboring communities and the community at large. Such an approach to monitoring is essential for achieving and maintaining acceptance. Continuous context analysis and the two-way communication with communities needed to ensure accuracy and depth are undermined, however, by security measures which distance humanitarian agencies from the communities with which they are working. Additionally, the short-term and geographically limited scope of most humanitarian interventions can prevent organisations from establishing long-term relationships with local communities that could facilitate acceptance. In Amran Governorate, north of Sana’a, one humanitarian project head complained that the short project time frame and limited budget made it difficult to conduct a meaningful context analysis at the outset of the project. This shortcoming resulted in a series of preventable incidents that damaged the community’s acceptance of the project. Another instance where security measures foster weak acceptance is the low-profile approach organisations adopt in response to increased levels of insecurity. This includes avoiding announcing or advertising the agency’s activities and not posting logos and signs on agency vehicles or at its premises. One disadvantage of the low-profile approach is that it can limit the flow of information and effective communication between agencies and targeted communities and the community at large. In turn, this allows space for rumours and negative perceptions of the organisation to grow. Certain groups or individuals can use this information gap to turn local communities against humanitarian organisations or reduce their willingness to accept these organisations by questioning their objectives and impact. Being suspected of conducting missionary activities (Tanseayr). In some cases, the actions of individuals working for international organisations could cause a backlash against the organisations with which they are affiliated. In Hadramout governorate in the east of Yemen, a single international organisation staff member engaged in discussions of Christianity with some local youth, prompting calls for the agency to be expelled. Such hostility is partly derived from experiences with Christian-based organisations during the 1970s. Accusations of spying (Tajassos). Information gathering as part of project planning or evaluation can raise suspicions, especially if the process is not explained to community leaders in advance. During a focus group discussion I attended as part of an impact evaluation of an NGO project being implemented in Lahj governorate, a member of the local community asked me to swear that we were only asking these questions for the purposes of evaluating the project. Concerns that NGO staff are trying to turn communities against the teachings of Islam. This is most likely to happen when organisations try to discuss gender issues and promote women’s rights (Mansart almarah) without explaining the concepts adequately or building on local practice and understandings. Being perceived as biased by only working with or targeting influential and powerful local leaders, specific clans or sub-clans or political parties (Gayer Mohaid). Targeting is by far the main area of tension between organisations and local communities. Extreme poverty increases competition over access to humanitarian assistance. Organisations’ failure to provide an acceptable rationale for targeting can exacerbate insecurity. Intentions (why are they helping us?). As one Yemeni in Amran governorate once told me, ‘I do not believe that those foreigners would come all the way from their countries for no benefit’. Integrity. Assessments of integrity are based on two metrics. The first is how funds are used (how much money do organisations have and how much are they actually spending on activities?). The second is personnel policy concerning staffing decisions and the salaries of staff (how do organisations select their staff, how much are they paying them and why?). Association. This concerns their relationship with certain individuals or groups within the community (who are their agents/facilitators in the community and how do they benefit from such arrangements?). Association also takes into account the organisation’s donors and their intentions and mandates (How much money does the organisation have, where does it come from and what is the donor’s intent or objective?). Achieving acceptance from local communities requires that organisations ensure effective exchange of information with communities together with a comprehensive understanding of target communities and the community at large. An important factor in this is the quality of information available to the community. Information comes from three different sources: the organisation itself, either directly through official channels or indirectly through the actions of the organisation’s staff, partners and contractors; other organisations or people previously exposed to the organisation, or the media; and the community itself, in the form of rumors based on incomplete or partial information. An organisation which at the outset clearly and effectively communicates accurate information about its identity, objectives, activities, implementation approach, partners and fund givers can avoid or reduce harmful rumors that can undermine acceptance. Other factors can also influence community perceptions of an agency, such as previous experience with the organisation or others like it, the dynamics within a community that shape its collective perceptions, the availability of communications systems and officials and media input about the organisation within the intervention context. Perceptions are not static and will evolve over time due to new experiences, new information and changes in community dynamics. To maintain acceptance, organisations should monitor communities’ perceptions in order to quickly spot and react appropriately to changes. Shoqi A. Maktary is Country Director for Search for Common Ground in Yemen. He has over ten years of experience in conflict sensitivity mainstreaming, peace building, crisis prevention and risk management.